Community banks might feel a similar sinking sensation as they ponder their role related to small business loans of less than $100,000. Community banks were once giants in the field of these smallest of small business loans, but these days competition is rampant and aggressive. Consider that back in 1997, banks with <$10B in assets controlled 82% of loans under $100,000 made by commercial banks, according to FDIC statistics. Roll forward to 2015 and the data shows that number has been shrunken down to only 29%. This is because the largest banks have pushed into the space, along with online nonbank marketplace lenders and even companies like Amazon and PayPal. For their part, the nonbank online lenders have expanded rapidly. Some would say this is because they are not subject to the same regulations as banks, while others would say it is because they are filling a role online that small businesses want and bankers have largely ignored. It is also true that these companies to some degree broaden the lending landscape by extending loans to customers who might not qualify for bank loans, but one wonders over time-- at what cost? It really doesn't matter, as the two-pronged attack on the smallest of small business loans makes it tough on community banks the most. This is because the biggest banks can leverage economies of scale in competing for smaller business loans, while nonbank lenders have both new technologies that are difficult for a community bank to duplicate and also enjoy less regulation. There may be ways to turn these challenges to opportunities, but care should be taken with many to avoid potential unintended consequences. For example, some bankers have been pitched by online marketplace lenders to send along any customers you may not want to put on your own books in return for a fee. On the other side of the coin, other banks have dabbled in purchasing loans from such online lenders. While both may be options for community banks, it is critical to know that the responsibility to ensure all laws and regulations are followed is yours. In reading through the regulatory comments around this issue you will quickly surface what this might mean. Regulators are clear that banks must carefully consider and ensure compliance no matter what. While this sounds like it may not be that difficult, consider it means that when buying or selling loans through such players, you will need to be sure fair lending or potentially unfair or deceptive acts or practices are all properly handled. Regulators have indicated this means your bank needs to properly handle anything related to origination and underwriting methods used by online alternative lenders. For example, if algorithms are used for credit decision-making or come from nontraditional data sources, it is your responsibility to make sure this does not lead to disparate treatment or have a disparate impact. Since algorithms among these lenders is what their secret sauce is all about, the odds you will get full insight into how things work behind the curtain is unlikely. As such, be very careful. Another area some banks are looking at relates to trying to license technology from alternative marketplace lenders. Here too the rules are clear and as a bank you are the one responsible as far as regulators are concerned. They may have the cool machine, but you would be using it to make decisions so you need to understand each of the components thoroughly. 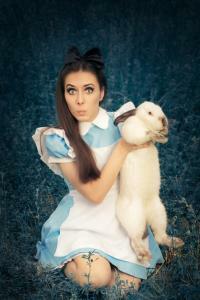 When it comes to marketplace lending at this early point, bankers will need to take care to avoid falling down the rabbit hole like Alice. Yields fell 3bp after weak earnings reports from retail players reduced pressure on the fed to raise rates over the next few months. 1) Sunshine Bank ($522mm, FL) will acquire Florida Bank of Commerce ($302mm, FL) for about $40mm in stock or roughly 1.28x tangible book. The Treasury Department has released a policy paper that dictates marketplace lenders must have regulatory safeguards, protect borrowers, increase transparency, improve customer protections and ensure algorithmic lending decisions do not result in unfair or biased situations for borrowers. The FDIC is reporting 5 more data security breaches and announced it will implement digital rights management software to locate and destroy data, will have 3rd party assessments of security and privacy programs and will encrypt data on portable devices. In an unusual shift, the Wall Street Journal reports 26% of M&A deals done in 2015 did not use investment banks for advice vs. only 13% in 2014. So far this year that number has climbed even more to 27%. The Financial Times reports banks are reviewing their credit line exposures to energy companies and will likely cut those facilities by up to 25% to reduce risk. Research by Deloitte of thousands of business and HR leaders worldwide on human capital finds that today about 33% of US workers are freelancers (think Uber and Airbnb), a number expected to reach 40% by 2020.